Country NSW is full of surprises and during my journey home to Rylstone, NSW, where I grew up, I was fortunate to meet a fabulous funstar called Juliet, who owns a gorgeous homewears business in Mudgee called Juiliet Horsley Homewears and this is where the next Hats by Felicity event took place; a relaxed afternoon of bubbles (kindly donated by Logan winery), friends and my collection of headwear. During this event a new target market arose, being the school girls who need fabulous headpieces for their school graduations. 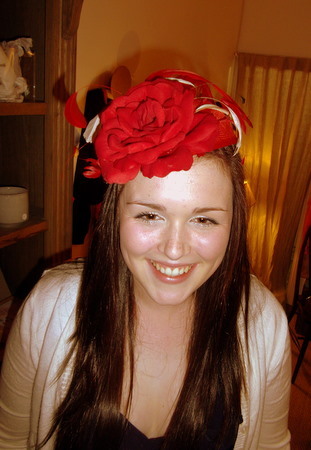 Hilary Orth is pictured wearing the beautiful flower that she purchased for the upcoming school formal event. 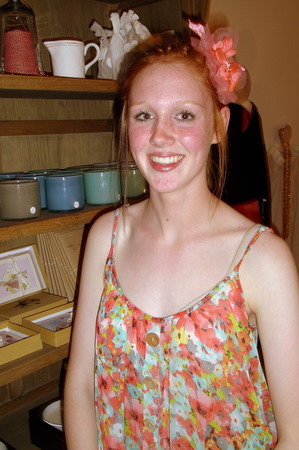 Hilary’s sister Bridgette is my god-daughter who was also at the Mudgee event and will be ordering a custom made creation for her leavers graduation next year. I’m thinking Bid could also make for a fabulous hat model in the years to come. 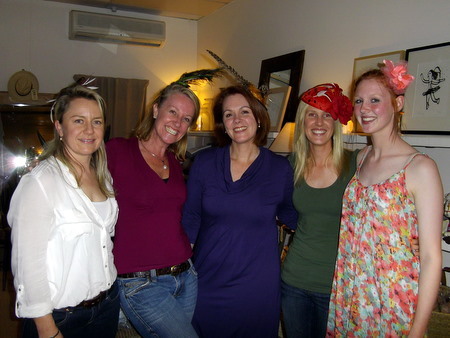 When I was in Mudgee I attended a magnificent event at Logan Winery to which I wore a little favourite headpiece from the collection called Wistfull. I was a guest to this event with my brother, Billy. 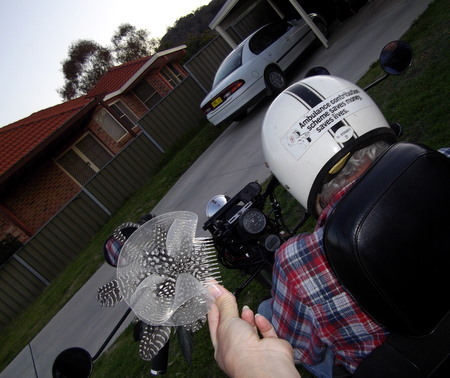 The only challenge was that a ride on a trike was involved, which also meant I had to wear a helmet. The headpiece, therefore, travelled on my lap and was later positioned in my hair without use of mirror but thankfully with ease prior to boarding the bus. 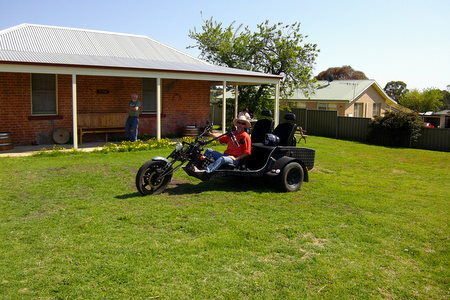 The trike belongs to our Uncle who also owns a Bed and Breakfast called the Mudgee Bed and Breakfast. If you are ever in the district and in need of fabulous accommodation be sure to look them up; and of course during your stay you too can be taken for a ride on the trike. My time at the family farm was fabulous but also at times with certain frustrations, mainly surrounding internet and mobile range (or lack there of). 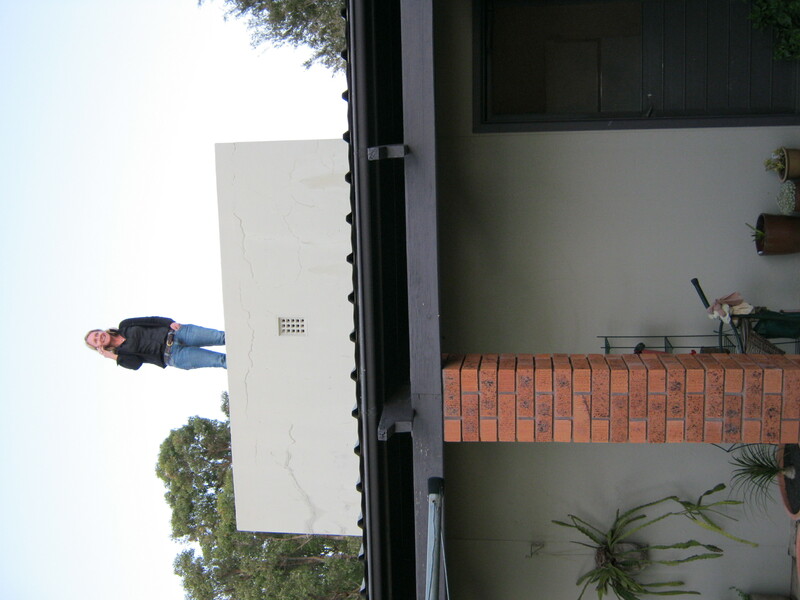 I did go to a few extremes to improve my communication which included climbing on to the old meat house with the mobile and driving down the paddock and up the hill with the laptop. In the end it was easier to simply enjoy the time at home. My mum has a fabulous and colourful garden that provided for no end of inspiration so keep an eye out for future hat and headpiece creations that were designed from this leg of the trip.